The World Chess Championship (sometimes abbreviated as WCC) is played to determine the World Champion in chess. Current world champion Magnus Carlsen won the World Chess Championship 2013 against Viswanathan Anand and successfully defended his title against Anand in the World Chess Championship 2014. In addition, there is a separate event for women only, for the title of Women's World Champion, as well as separate competitions and titles for juniors (under 20 years of age), seniors (60+ for men, 50+ for women), and computers. Computers are barred from competing for all titles, except the last one. The concept of a world chess champion started to emerge in the first half of the 19th century, and the phrase "world champion" appeared in 1845. From this time onwards various players were acclaimed as world champions, but the first contest that was defined in advance as being for the world championship was the match between Steinitz and Zukertort in 1886. Until 1948 world championship contests were matches arranged privately between the players. As a result, the players also had to arrange the funding, in the form of stakes provided by enthusiasts who wished to bet on one of the players. In the early 20th century this was sometimes a barrier that prevented or delayed challenges for the title. Between 1888 and 1948 various difficulties that arose in match negotiations led players to try to define agreed rules for matches, including the frequency of matches, how much or how little say the champion had in the conditions for a title match and what the stakes and division of the purse should be. However these attempts were unsuccessful in practice, as the same issues continued to delay or prevent challenges. The first attempt by an external organization to manage the world championship was in 1887-89, but this experiment was not repeated. A system for managing regular contests for the title went into operation in 1948, under the control of FIDE, and functioned quite smoothly until 1993. However, in that year reigning champion Kasparov and challenger Short were so dissatisfied with FIDE's arrangements for their match that they set up a break-away organization. The split in the world championship continued until 2006; however, the compromises required in order to achieve reunification had effects that lasted until 2012, due to the conditions of the 2009 Challenger Match. Paul Morphy (left) dominated all opposition in his brief chess career (1857-58). The first match proclaimed by the players as for the world championship was the match that Wilhelm Steinitz won against Johannes Zukertort in 1886. However, a line of players regarded as the strongest (or at least the most famous) in the world extends back hundreds of years beyond them, and these players are sometimes considered the world champions of their time. They include Ruy López de Segura around 1560, Paolo Boi and Leonardo da Cutri around 1575, Alessandro Salvio around 1600, and Gioachino Greco around 1623. 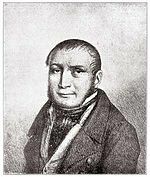 In the 18th and early 19th centuries, French players dominated, with Legall de Kermeur (1730-55), François-André Danican Philidor (1755-95), Alexandre Deschapelles (around 1800-21) and Louis-Charles Mahé de La Bourdonnais (1821-40) all widely regarded as the strongest players of their time. 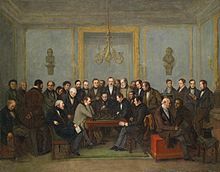 Something resembling a world championship match was the La Bourdonnais - McDonnell chess matches in 1834, in which La Bourdonnais played a series of six matches - and 85 games - against the Irishman Alexander McDonnell. The idea of a world champion goes back at least to 1840, when a columnist in Fraser's Magazine wrote, "To whom is destined the marshal's baton when La Bourdonnais throws it down, and what country will furnish his successor? ... At present de La Bourdonnais, like Alexander the Great, is without heir, and there is room to fear the empire may be divided eventually under a number of petty kings." The Englishman Howard Staunton's match victory over another Frenchman, Pierre Charles Fournier de Saint-Amant, in 1843 is considered to have established him as the world's strongest player, with a letter quoted in The Times on 16 November 1843, but probably written before that, described the second Staunton vs Saint-Amant match, played in Paris in November-December 1843, as being for "the golden sceptre of Philidor." The earliest recorded use of the term "World Champion" was in 1845, when Howard Staunton was described as "the Chess Champion of England, or ... the Champion of the World". The first known proposal that a contest should be defined in advance as being for recognition as the world's best player was by Ludwig Bledow in a letter to von der Lasa, written in 1846 and published in the Deutsche Schachzeitung in 1848: "... the winner of the battle in Paris should not be overly proud of his special position, since it is in Trier that the crown will first be awarded" (Bledow died in 1846 and the proposed tournament did not take place). In 1850 to 1851 the forthcoming 1851 London International Tournament was explicitly described as being for the world championship by three commentators: a letter from "a member of the Calcutta Chess Club" (dated 1 August 1850) and another from Captain Hugh Alexander Kennedy (dated October 1850) in the 1850 volume of the Chess Player's Chronicle; and the Liberty Weekly Tribune in Missouri (20 June 1851). Although Kennedy was a member of the organizing committee for the tournament, there is no evidence that crowning a world champion was an official aim of the tournament. 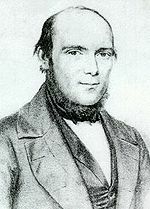 The 1851 London tournament was won by the German Adolf Anderssen, establishing Anderssen as the leading player in the world. Anderssen has been described as the first modern chess master. However, there is no evidence that this victory led to his being widely acclaimed at the time as the world champion, although in 1893 Henry Bird retrospectively awarded the title to Anderssen for his victory. 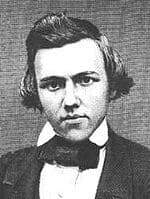 Anderssen was himself decisively defeated in an 1858 match against the American Paul Morphy, after which Morphy was toasted across the chess-playing world as the world chess champion. Morphy played matches against several leading players, crushing them all. Harper's Weekly (25 September 1858) and The American Union (9 October 1858) hailed him as the world champion, but another article in Harper's Weekly (9 October 1858; by C.H. Stanley) was uncertain about whether to describe the Morphy-Harrwitz match as being for the world championship. Soon after, Morphy offered pawn and move odds to anyone who played him. Finding no takers, he abruptly retired from chess the following year, but many considered him the world champion until his death in 1884. His sudden withdrawal from chess at his peak and subsequent mental illness led to his being known as "the pride and sorrow of chess". This left Anderssen again as possibly the world's strongest active player, a reputation he reinforced by winning the strong London 1862 chess tournament. Wilhelm Steinitz narrowly defeated Anderssen in an 1866 match, which some commentators consider the first "official" world championship match. The match was not declared to be a world championship at the time, and it was only after Morphy's death in 1884 that such a match was declared, a testament to Morphy's dominance of the game (even though he had not played publicly for 25 years). The use of the term "World Chess Champion" in this era is varied, but it appears that Steinitz, at least in later life, dated his reign from this 1866 match. In 1883, Johannes Zukertort won a major international tournament in London, ahead of nearly every leading player in the world, including Steinitz. 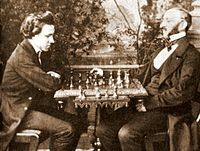 This tournament established Steinitz and Zukertort as the best two players in the world, and led to the inaugural World Championship match between these two, the World Chess Championship 1886. This match, won by Steinitz, though not held under the aegis of any official body, is generally recognized as the first official World Chess Championship match, with Steinitz the game's first official World Champion. Graham Burgess lists Philidor, de la Bourdonnais, Staunton, and Morphy as players who were acclaimed as the greatest players of their time (Burgess 2000:495). The championship was conducted on a fairly informal basis through the remainder of the 19th century and in the first half of the 20th: if a player thought he was strong enough, he (or his friends) would find financial backing for a match purse and challenge the reigning world champion. If he won, he would become the new champion. There was no formal system of qualification. However, it is generally regarded that the system did on the whole produce champions who were the strongest players of their day. The players who held the title up until World War II were Steinitz, Emanuel Lasker, José Raúl Capablanca, Alexander Alekhine, and Max Euwe, each of them defeating the previous incumbent in a match. Wilhelm Steinitz dominated chess from 1866 to 1894, and his reign raised most of the issues that have since affected the world championship. 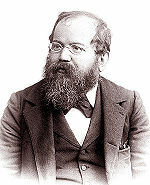 Wilhelm Steinitz' reign is notable for: the first recorded suggestion that a world champion could forfeit the title by declining a credible challenge or by prolonged absence from competition; the first recorded instance of a disputed world championship; the first actual contest that was defined in advance as being for the world championship (Bledow's 1846 proposal came to nothing); the first attempt to regulate contests for the world championship; debates about whether the championship should be decided by a match or a tournament; and differences between commentators about when his reign began, which persist right down to the present day. There is no evidence that Steinitz claimed the title for himself immediately after winning a match against Adolf Anderssen in 1866, although in his International Chess Magazine (September 1887 and April 1888) he claimed to have been the champion since 1866. It has been suggested that Steinitz could not make such a claim while Paul Morphy was alive. Morphy had defeated Anderssen by a far wider margin in 1858, but retired from chess competition soon after he returned to the USA in 1859, and died in 1884. The earliest known reference to Steinitz as world champion was in the Chess Player's Chronicle (October 1872), after he beat Johannes Zukertort in their first match. But the New York Times (11 March 1894), British Chess Magazine (April 1894) and Emanuel Lasker (Lasker's Chess Magazine, May 1908) dated his reign from 1866, and in the early 1950s Reuben Fine followed their example. On the other hand, many recent commentators divide Steinitz' reign into an "unofficial" one before he beat Zukertort again in 1886 and the first "official" world championship from that time onwards; Steinitz had insisted that the contract for the 1886 match must specify that the match was "for the Championship of the World" (Chess Monthly, January 1886). The Irish Times (6 March 1879) argued that Steinitz had forfeited the title by prolonged absence from competitive chess and therefore Zukertort should be regarded as champion. The Chess Player's Chronicle (18 July 1883) made a more complex argument: other commentators had suggested that Zukertort should be regarded as champion because he had won a major tournament (London 1883, 3 points ahead of Steinitz); the Chronicle thought tournaments were an unreliable way of deciding the championship and Steinitz' victories in matches gave him the better claim; but, if Zukertort were the champion, he should forfeit the title if he declined a challenge, especially from a challenger with Steinitz' credentials, and in that case the title should revert to Steinitz. In 1887 the American Chess Congress started work on drawing up regulations for the future conduct of world championship contests. Steinitz supported this endeavor, as he thought he was becoming too old to remain world champion. The proposal evolved through many forms (as Steinitz pointed out, such a project had never been undertaken before), and resulted in the New York 1889 tournament to select a challenger for Steinitz, rather like the more recent Candidates Tournaments. The tournament was duly played, but the outcome was not quite as planned: Mikhail Chigorin and Max Weiss tied for first place; their play-off resulted in four draws; and neither wanted to play a match against Steinitz - Chigorin had just lost to him, and Weiss wanted to get back to his work for the Rothschild Bank. The third prizewinner Isidore Gunsberg was prepared to play Steinitz for the title in New York, and Steinitz won their match in 1890-91. This experiment was not repeated and the 1894 match in which Steinitz lost his title was a private arrangement between the players. Lasker was the first champion after Steinitz; although he did not defend his title in 1897-1906 or 1911-20, he did string together an impressive run of tournament victories and dominated his opponents. His success was largely due to the fact that he was an excellent practical player. In difficult or objectively lost positions he would complicate matters and use his extraordinary tactical abilities to save the game. He held the title from 1894 to 1921, the longest reign (27 years) of any champion. In that period he defended the title successfully in one-sided matches against Steinitz, Frank Marshall, Siegbert Tarrasch and Dawid Janowski, and was only seriously threatened in a tied 1910 match against Carl Schlechter. Lasker's negotiations for title matches from 1911 onwards were extremely controversial. In 1911 he received a challenge for a world title match against José Raúl Capablanca and, in addition to making severe financial demands, proposed some novel conditions: the match should be considered drawn if neither player finished with a two-game lead; and it should have a maximum of 30 games, but finish if either player won six games and had a two-game lead (previous matches had been won by the first to win a certain number of games, usually 10; in theory such a match might go on for ever). Capablanca objected to the two-game lead clause; Lasker took offence at the terms in which Capablanca criticized the two-game lead condition and broke off negotiations. Further controversy arose when, in 1912, Lasker's terms for a proposed match with Akiba Rubinstein included a clause that, if Lasker should resign the title after a date had been set for the match, Rubinstein should become world champion (American Chess Bulletin, October 1913). When he resumed negotiations with Capablanca after World War I, Lasker insisted on a similar clause that if Lasker should resign the title after a date had been set for the match, Capablanca should become world champion. On 27 June 1920 Lasker abdicated in favor of Capablanca because of public criticisms of the terms for the match, naming Capablanca as his successor (American Chess Bulletin, July August 1920). Some commentators questioned Lasker's right to name his successor (British Chess Magazine, August 1920; Rochester Democrat and Chronicle); Amos Burn raised the same objection but welcomed Lasker's resignation of the title (The Field, 3 July 1920). Capablanca argued that, if the champion abdicated, the title must go to the challenger as any other arrangement would be unfair to the challenger (British Chess Magazine, October 1922). Nonetheless Lasker agreed to play a match against Capablanca in 1921, announcing that, if he won, he would resign the title so that younger masters could compete for it ("Dr Lasker and the Championship" in American Chess Bulletin, September-October 1920). Capablanca won their 1921 match easily. After the breakdown of his first attempt to negotiate a title match against Lasker (1911), Capablanca drafted rules for the conduct of future challenges, which were agreed by the other top players at the 1914 Saint Petersburg tournament, including Lasker, and approved at the Mannheim Congress later that year. The main points were: the champion must be prepared to defend his title once a year; the match should be won by whichever player first won six or eight games (the champion had the right to choose); and the stake should be at least £1,000 (worth about £347,000 or $700,000 in 2006 terms). Following the controversies surrounding his 1921 match against Lasker, in 1922 world champion Capablanca proposed the "London Rules": the first player to win six games would win the match; playing sessions would be limited to 5 hours; the time limit would be 40 moves in 2½ hours; the champion must defend his title within one year of receiving a challenge from a recognized master; the champion would decide the date of the match; the champion was not obliged to accept a challenge for a purse of less than US $10,000 (worth about $349,000 in 2006 terms); 20% of the purse was to be paid to the title holder, and the remainder being divided, 60% going to the winner of the match, and 40% to the loser; the highest purse bid must be accepted. Alekhine, Bogoljubov, Maróczy, Réti, Rubinstein, Tartakower and Vidmar promptly signed them. The only match played under those rules was Capablanca vs Alekhine in 1927, although there has been speculation that the actual contract might have included a "two-game lead" clause. Alekhine, Rubinstein and Nimzowitsch had all challenged Capablanca in the early 1920s but only Alekhine could raise the US $10,000 Capablanca demanded and only in 1927. Capablanca was shockingly upset by the new challenger. Before the match, almost nobody gave Alekhine a chance against the dominant Cuban, but Alekhine overcame Capablanca's natural skill with his unmatched drive and extensive preparation (especially deep opening analysis, which became a hallmark of most future grandmasters). The aggressive Alekhine was helped by his tactical skill, which complicated the game. Immediately after winning, Alekhine announced that he was willing to grant Capablanca a return match provided Capablanca met the requirements of the "London Rules". Negotiations dragged on for several years, often breaking down when agreement seemed in sight. Alekhine easily won two title matches against Efim Bogoljubov in 1929 and 1934. In 1935, Alekhine was unexpectedly defeated by the Dutch Max Euwe, an amateur player who worked as a mathematics teacher. Alekhine convincingly won a rematch in 1937. World War II temporarily prevented any further world title matches, and Alekhine remained world champion until his death in 1946. Attempts to form an international chess federation were made at the time of the 1914 St. Petersburg, 1914 Mannheim and 1920 Gothenburg Tournaments. On 20 July 1924 the participants at the Paris tournament founded FIDE as a kind of players' union. FIDE's congresses in 1925 and 1926 expressed a desire to become involved in managing the world championship. FIDE was largely happy with the "London Rules", but claimed that the requirement for a purse of $10,000 was impracticable and called upon Capablanca to come to an agreement with the leading masters to revise the Rules. In 1926 FIDE decided in principle to create a parallel title of "Champion of FIDE" and, in 1928, adopted the forthcoming 1928 Bogoljubow-Euwe match (won by Bogoljubow) as being for the "FIDE championship". Alekhine agreed to place future matches for the world title under the auspices of FIDE, except that he would only play Capablanca under the same conditions that governed their match in 1927. Although FIDE wished to set up a "unification" match between Alekhine and Bogoljubow, it made little progress and the title "Champion of FIDE" quietly vanished after Alekhine won the 1929 world championship match that he and Bogoljubow themselves arranged. While negotiating his 1937 World Championship rematch with Alekhine, Euwe proposed that if he retained the title FIDE should manage the nomination of future challengers and the conduct of championship matches. FIDE had been trying since 1935 to introduce rules on how to select challengers, and its various proposals favored selection by some sort of committee. While they were debating procedures in 1937 and Alekhine and Euwe were preparing for their rematch later that year, the Royal Dutch Chess Federation proposed that a super-tournament (AVRO) of ex-champions and rising stars should be held to select the next challenger. FIDE rejected this proposal and at their second attempt nominated Salo Flohr as the official challenger. Euwe then declared that: if he retained his title against Alekhine he was prepared to meet Flohr in 1940 but he reserved the right to arrange a title match either in 1938 or 1939 with José Raúl Capablanca, who had lost the title to Alekhine in 1927; if Euwe lost his title to Capablanca then FIDE's decision should be followed and Capablanca would have to play Flohr in 1940. Most chess writers and players strongly supported the Dutch super-tournament proposal and opposed the committee processes favored by FIDE. While this confusion went unresolved: Euwe lost his title to Alekhine; the AVRO tournament in 1938 was won by Paul Keres under a tie-breaking rule, with Reuben Fine placed second and Capablanca and Flohr in the bottom places; and the outbreak of World War II in 1939 cut short the controversy. Before 1946 a new World Champion had won the title by defeating the former champion in a match. 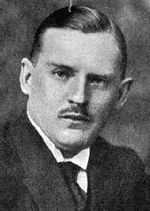 Alexander Alekhine's death created an interregnum that made the normal procedure impossible. The situation was very confused, with many respected players and commentators offering different solutions. FIDE found it very difficult to organize the early discussions on how to resolve the interregnum because problems with money and travel so soon after the end of World War II prevented many countries from sending representatives. The shortage of clear information resulted in otherwise responsible magazines publishing rumors and speculation, which only made the situation more confused. It did not help that the Soviet Union had long refused to join FIDE, and by this time it was clear that about half the credible contenders were Soviet citizens. But the Soviet Union realized it could not afford to be left out of the discussions about the vacant world championship, and in 1947 sent a telegram apologizing for the absence of Soviet representatives and requesting that the USSR be represented in future FIDE Committees. The eventual solution was very similar to FIDE's initial proposal and to a proposal put forward by the Soviet Union (authored by Mikhail Botvinnik). The 1938 AVRO tournament was used as the basis for the 1948 Championship Tournament. The AVRO tournament had brought together the eight players who were, by general acclamation, the best players in the world at the time. Two of the participants at AVRO - Alekhine and former world champion José Raúl Capablanca - had died; but FIDE decided that the championship should be awarded to the winner of a round-robin tournament in which the other six participants at AVRO would play four games against each other. These players were: Max Euwe, from the Netherlands; Botvinnik, Paul Keres and Salo Flohr from the Soviet Union; and Reuben Fine and Samuel Reshevsky from the United States. However, FIDE soon accepted a Soviet request to substitute Vasily Smyslov for Flohr, and Fine dropped out in order to continue his degree studies in psychology, so only five players competed. Botvinnik won convincingly and thus became world champion, ending the interregnum. Since Keres lost his first four games against Botvinnik in the 1948 World Championship Tournament, suspicions are sometimes raised that Keres was forced to "throw" games to allow Botvinnik to win the Championship. Chess historian Taylor Kingston investigated all the available evidence and arguments, and concluded that: Soviet chess officials gave Keres strong hints that he should not hinder Botvinnik's attempt to win the World Championship; Botvinnik only discovered this about half-way through the tournament and protested so strongly that he angered Soviet officials; Keres probably did not deliberately lose games to Botvinnik or anyone else in the tournament. The proposals which led to the 1948 Championship Tournament also specified the procedure by which challengers for the World Championship would be selected in a three-year cycle: countries affiliated to FIDE would send players to Zonal Tournaments (the number varied depending on how many good enough players each country had); the players who gained the top places in these would compete in an Interzonal Tournament (later split into two and then three tournaments as the number of countries and eligible players increased); the highest-placed players from the Interzonal would compete in the Candidates Tournament, along with whoever lost the previous title match and the second-placed competitor in the previous Candidates Tournament three years earlier; and the winner of the Candidates played a title match against the champion. Until 1962 inclusive the Candidates Tournament was a multi-cycle round-robin tournament - how and why it was changed are described below. The FIDE system followed its 1948 design through five cycles: 1948-51, 1951-54, 1954-57, 1957-60 and 1960-63. In 1956 FIDE introduced two apparently minor changes which Soviet grandmaster and chess official Yuri Averbakh alleged were instigated by the two Soviet representatives in FIDE, who were personal friends of reigning champion Mikhail Botvinnik. A defeated champion would have the right to a return match, a provision which enabled Botvinnik to regain his title from Vasily Smyslov in 1958 and from Mikhail Tal in 1961. FIDE also limited the number of players from the same country that could compete in the Candidates Tournament, on the grounds that it would reduce Soviet dominance of the tournament. Averbakh claimed that this was to Botvinnik's advantage as it reduced the number of Soviet players he might have to meet in the title match. After the 1962 Candidates Tournament, Bobby Fischer publicly alleged that the Soviets had colluded to prevent any non-Soviet - specifically him - from winning. He claimed that Tigran Petrosian, Efim Geller and Paul Keres had prearranged to draw all their games, and that Korchnoi had been instructed to lose to them. Averbakh, who was head of the Soviet team, confirmed in 2002 that Petrosian, Geller and Keres arranged to draw all their games in order to save their energy for games against non-Soviet players, and a statistical analysis in 2006 backed this up. Another contestant, Pal Benko, claimed that towards the end of the tournament Petrosian and Geller, who were friends, helped Benko with adjournment analysis of his game against Keres, who was the main threat to Petrosian. Korchnoi, who defected from the USSR in 1976, has never alleged he was forced to throw games. FIDE responded by changing the format of future Candidates Tournaments to eliminate the possibility of collusion. Beginning in the next cycle, 1963-66, the round-robin tournament was replaced by a series of elimination matches. Initially the quarter-finals and semifinals were best of 10 games, and the final was best of 12. This was the system under which Boris Spassky twice challenged Petrosian (who had won the title from Botvinnik in 1963) for the title, unsuccessfully in 1966 and successfully in 1969. Fischer withdrew from the 1967 Sousse Interzonal tournament in the 1966-69 World Championship cycle, after leading with 8½ points from the first 10 games. His observance of the Worldwide Church of God's sabbath was honored by the organizers, but deprived Fischer of several rest days, which led to a scheduling dispute. In the 1969-72 cycle Fischer caused two more crises. He refused to play in the 1969 US Championship, which was a Zonal Tournament. This would have eliminated him from the 1969-72 cycle, but Benko was persuaded to concede his place in the Interzonal to Fischer. FIDE President Max Euwe accepted this maneuver and interpreted the rules very flexibly to enable Fischer to play, as he thought it important for the health and reputation of the game that Fischer should have the opportunity to challenge for the title as soon as possible. Fischer crushed all opposition and won the right to challenge reigning champion Boris Spassky. After agreeing to play in Yugoslavia, Fischer raised a series of objections and Iceland was the final venue. Even then Fischer raised difficulties, mainly over money. It took a phone call from United States Secretary of State Henry Kissinger and a doubling of the prize money by financier Jim Slater to persuade him to play. After a few more traumatic moments Fischer won the match 12½-8½. A line of unbroken FIDE champions had thus been established from 1948 to 1972, with each champion gaining his title by beating the previous incumbent. This came to an end in 1975, however, when Fischer refused to defend his title against Soviet Anatoly Karpov when Fischer's demands were not met. Fischer resigned his FIDE title in writing, but privately maintained that he was still World Champion. He went into seclusion and did not play chess in public again until 1992, when he offered Spassky a rematch, again for the World Championship. The general chess public did not take this claim to the championship seriously, since both of them were well past their prime, though the match was greatly appreciated and attracted good media coverage. Anatoly Karpov won the right to challenge Fischer in 1975 for the World Championship by defeating Viktor Korchnoi in the final candidates match, winning by a score of 12½-11½. Fischer objected to the "best of 24 games" championship match format that had been used from 1951 onwards, claiming that it would encourage whoever got an early lead to play for draws. Instead he demanded that the match should be won by whoever first won 10 games, except that if the score reached 9-9 he should remain champion. He argued that this was more advantageous to the challenger than the champion's advantage under the existing system, where the champion retained the title if the match was tied at 12-12 including draws. Eventually FIDE deposed Fischer and crowned Karpov as the new champion. Karpov dominated the 1970s and early 1980s with an incredible string of tournament successes. He convincingly demonstrated that he was the strongest player in the world (save Fischer) by defending his title twice against ex-Soviet Viktor Korchnoi, first in Baguio City in 1978 (6-5 with 21 draws) then in Meran in 1981 (6-2, with 10 draws). His "boa constrictor" style frustrated opponents, often causing them to lash out and err. This allowed him to bring the full force of his Botvinnik-learned dry technique (both Karpov and Kasparov were students at Botvinnik's school) against them, grinding his way to victory. He eventually lost his title to a fiery, aggressive, tactical player who was equally convincing over the board: Garry Kasparov. The two of them fought five incredibly close world championship matches, the World Chess Championship 1984 (controversially terminated without result with Karpov leading +5 −3 =40), World Chess Championship 1985 (in which Kasparov won the title, 13-11), World Chess Championship 1986 (narrowly won by Kasparov, 12½-11½), World Chess Championship 1987 (drawn 12-12, Kasparov retaining the title), and World Chess Championship 1990 (again narrowly won by Kasparov, 12½-11½). In the five matches Kasparov and Karpov managed to play 144 games with 104 draws, 21 wins by Kasparov and 19 wins by Karpov. In 1993, Kasparov and challenger Nigel Short complained of corruption and a lack of professionalism within FIDE and split from FIDE to set up the Professional Chess Association (PCA), under whose auspices they held their match. The event was orchestrated largely by Raymond Keene. Keene brought the event to London (FIDE had planned it for Manchester), and England was whipped up into something of a chess fever: Channel 4 broadcast some 81 programmes on the match, the BBC also had coverage, and Short appeared in television beer commercials. Kasparov crushed Short by five points, and interest in chess in the UK soon died down. Affronted by the PCA split, FIDE stripped Kasparov of his title and held a championship match between Karpov (champion prior to Kasparov and defeated by Short in the Candidates semifinal) and Jan Timman (defeated by Short in the Candidates final) in the Netherlands and Jakarta, Indonesia. Karpov emerged victorious. 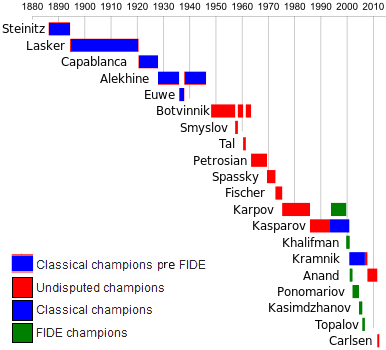 FIDE and the PCA each held a championship cycle in 1993-96, with many of the same challengers playing in both, and Karpov and Kasparov retaining their respective titles. In the PCA cycle, Kasparov defeated Viswanathan Anand in the PCA World Chess Championship 1995. Karpov defeated Gata Kamsky in the final of the FIDE World Chess Championship 1996. Negotiations were held for a reunification match between Kasparov and Karpov in 1996-97, but nothing came of them. Soon after the 1995 championship, the PCA folded, and Kasparov had no organisation to choose his next challenger. In 1998 he formed the World Chess Council, which organised a candidates match between Alexei Shirov and Vladimir Kramnik. Shirov won the match, but negotiations for a Kasparov-Shirov match broke down, and Shirov was subsequently omitted from negotiations, much to his disgust. Plans for a 1999 or 2000 Kasparov-Anand match also broke down, and Kasparov organised a match with Kramnik in late 2000. In a major upset, Kramnik won the Classical World Chess Championship 2000 match with two wins, thirteen draws, and no losses. FIDE, meanwhile, scrapped the Interzonal and Candidates system, instead having a large knockout event in which a large number of players contested short matches against each other over just a few weeks. (See FIDE World Chess Championship 1998.) Very fast games were used to resolve ties at the end of each round, a format which some felt did not necessarily recognize the highest quality play: Kasparov refused to participate in these events, as did Kramnik after he won Kasparov's title in 2000. In the first of these events, champion Karpov was seeded straight into the final, but subsequently the champion had to qualify like other players. Karpov defended his title in the first of these championships in 1998, but resigned his title in anger at the new rules in 1999. Alexander Khalifman took the title in 1999, Anand in 2000, Ruslan Ponomariov in 2002 and Rustam Kasimdzhanov won the event in 2004. By 2002, not only were there two rival champions, but Kasparov's strong results - he had the top Elo rating in the world and had won a string of major tournaments after losing his title in 2000 - ensured even more confusion over who was World Champion. So in May 2002, American grandmaster Yasser Seirawan led the organisation of the so-called "Prague Agreement" to reunite the world championship. Kramnik had organised a candidates tournament (won later in 2002 by Peter Leko) to choose his challenger. So it was decided that Kasparov played the FIDE champion (Ponomariov) for the FIDE title, and the winners of the two titles played for a unified title. However, the matches proved difficult to finance and organise. The Kramnik-Leko match, now renamed the Classical World Chess Championship, did not take place until late 2004 (it was drawn, so Kramnik retained his title). Meanwhile, FIDE never managed to organise a Kasparov match, either with 2002 FIDE champion Ponomariov, or 2004 FIDE champion Kasimdzhanov. Partly due to his frustration at the situation, Kasparov retired from chess in 2005, still ranked No. 1 in the world. Soon after, FIDE dropped the short knockout format for a World Championship and announced the FIDE World Chess Championship 2005, a double round robin tournament to be held in San Luis, Argentina between eight of the leading players in the world. However Kramnik insisted that his title be decided in a match, and declined to participate. The tournament was convincingly won by the Bulgarian Veselin Topalov, and negotiations began for a Kramnik-Topalov match to unify the title. The FIDE World Chess Championship 2006 reunification match between Topalov and Kramnik was held in late 2006. After much controversy, it was won by Kramnik. Kramnik thus became the first unified and undisputed World Chess Champion since Kasparov split from FIDE to form the PCA in 1993. Kramnik played to defend his title at the World Chess Championship 2007 in Mexico. This was an 8-player double round robin tournament, the same format as was used for the FIDE World Chess Championship 2005. This tournament was won by Viswanathan Anand, thus making him the World Chess Champion. Because Anand's World Chess Champion title was won in a tournament rather than a match, a minority of commentators questioned the validity of his title. Kramnik also made ambiguous comments about the value of Anand's title, but did not claim the title himself. Subsequent world championship matches returned to the format of a match between the champion and a challenger. The World Chess Championship 2008 was a 12-game match between the current champion Viswanathan Anand and 2006 champion Vladimir Kramnik. Anand convincingly defended his title in 11 games with 6½-4½. The World Chess Championship 2010 took place in April and May 2010, where Anand defeated 2005 FIDE champion Veselin Topalov (who defeated Chess World Cup 2007 winner Gata Kamsky in a match in February 2009 to determine Anand's challenger) to defend the title for the second time. The first stage of 2012 qualification, the FIDE Grand Prix 2008-2010, began in April 2008. The final stage of qualification ended in May 2011, with Boris Gelfand emerging as the winner of the Candidates Tournament and the right to challenge Anand for the World Chess Championship 2012. Anand retained his title by beating Gelfand 2½-1½ in a four-game tie-breaker round, after the two ended the 12-game series level. Anand lost his title in November 2013 in Chennai, India, to world No. 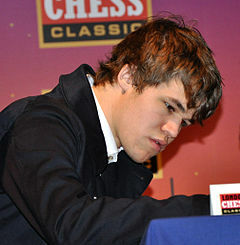 1 Magnus Carlsen, winner of the 2013 Candidates Tournament, by a score of 3.5-6.5. Carlsen successfully defended his title against Anand in Sochi in November 2014, with a score of 6.5-4.5. Before 1948 world championship matches were financed by arrangements similar to those Emanuel Lasker described for his 1894 match with Wilhelm Steinitz: either the challenger or both players, with the assistance of financial backers, would contribute to a purse; about half would be distributed to the winner's backers, and the winner would receive the larger share of the remainder (the loser's backers got nothing). The players had to meet their own travel, accommodation, food and other expenses out of their shares of the purse. This system evolved out of the wagering of small stakes on club games in the early 19th century. Up to and including the 1894 Steinitz-Lasker match, both players, with their backers, generally contributed equally to the purse, following the custom of important matches in the 19th century before there was a generally recognized world champion. For example: the stakes were £100 a side in both the second Staunton vs Saint-Amant match (Paris, 1843) and the Anderssen vs Steinitz match (London, 1866); Steinitz and Zukertort played their 1886 match for £400 a side. Lasker introduced the practise of demanding that the challenger should provide the whole of the purse, and his successors followed his example up to World War II. This requirement made arranging world championship matches more difficult, for example: Marshall challenged Lasker in 1904 but could not raise the money until 1907; in 1911 Lasker and Rubinstein agreed in principle to a world championship match, but this was never played as Rubinstein could not raise the money; and Alekhine, Rubinstein and Nimzowitsch all challenged Capablanca in the early 1920s but only Alekhine could raise the US $10,000 Capablanca demanded and only in 1927.